Through continued use, it is not uncommon for cell phone owners to experience speed and performance issues with their phone. Glitches, freezing, and random application crashes are just a few common annoyances that can hamper your experience with your phone. Though it may seem like your phone’s issues are a major cause for concern, there are many steps you should take to try to fix it before sending it in for repair or completely replacing it. 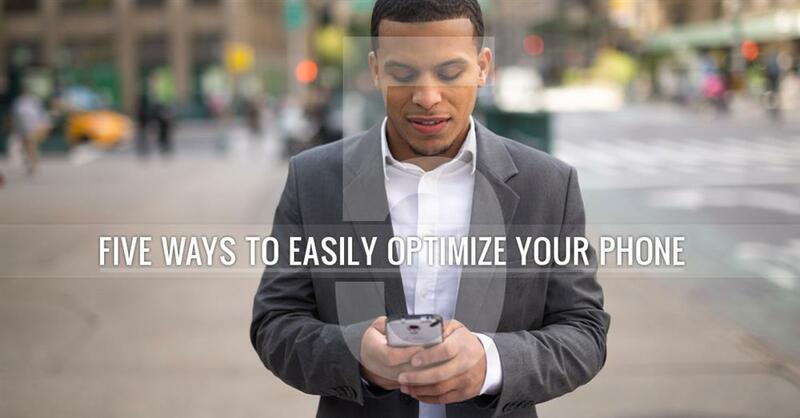 If you aren’t familiar with the many ways to speed up your phone, REAL mobile has compiled five easy tips which will drastically improve your phone’s responsiveness. As a provider of nationwide wireless coverage to individuals around the country, REAL mobile puts the interests of its customers first. Changing settings on your phone may seem daunting, which is why we’ve outlined a thorough guide to easily assist you along the way. If you’ve received a new phone recently, you probably noticed that it came with several pre-installed apps, some of which you may never even use. These pesky apps, also known as bloatware, can affect the speed of your phone as soon as you turn it on for the first time. Most pre-installed apps do not allow their uninstallation, however, some will allow you to remove them. If possible, delete any bloatware apps from your phone that you do not use. It is also good practice to uninstall any apps or widgets on your phone that you no longer use. While it may seem harmless to keep apps on your mobile device, the truth is that these unused apps take up space, and can significantly slow down your phone by filling up your app cache. As your cache builds up, your phone will bog down with needless data that should be routinely cleared. Clearing your app cache is easy, and will greatly improve your phone’s responsiveness. When you open an application, your phone keeps a small chunk of its data, called a cache, on your phone’s short term storage. There are many reasons your phone continuously builds a cache of your applications, however, the most important reason is so that your phone doesn’t have to load small amounts of data each time the application in question is opened. Ironically, a cache is built with the goal of making apps load quicker, yet sometimes, your cache can do more harm than good. If you’ve ever tried to open an app only to have it quickly freeze or close, you’re most likely experiencing a problem with your cache. If you have an Android phone and would like to clear your app cache, simply navigate to your settings menu, select the “apps” button to view your installed applications, then tap on an app and press select the “clear cache” option. This will free up space on your phone, while also improving the performance of problematic applications. If you have an iPhone, you will, unfortunately, need to uninstall the app in question completely, and then reinstall it to clean the app’s cache. Simply navigate to your “Storage and iCloud Usage” screen, select “storage,” and then select the app you would like to delete and reinstall. As with all pieces of technology, phone developers are constantly seeking to improve the performance of their operating systems. When you receive a push notification alerting you of an update for your phone, you’re receiving the latest version of an operating system where minor bugs and glitches have been detected and resolved. It’s important to keep your phone up-to-date with the latest version of its operating system, as later versions are generally optimized to run much smoother than previous outdated versions. Have you ever tried using your phone while its auto-sync feature is active? If so, you know just how laggy and unresponsive it can make your phone. Apps like Gmail, or other email services, utilize a phone’s auto-sync feature to send daily inbox updates to your phone. While it may be convenient to have your email provider send you notifications during certain parts of the day, you will notice that your phone will slow down during these times. If possible, consider turning off your auto-sync feature completely, so that you receive instant notifications instead when you receive an email. Another option to keep your phone at optimal speed is to schedule your auto-sync feature to activate during times of the day when you won’t be using your phone as much, such as before you go to bed, or while at work. If all else fails, you may want to consider performing a factory reset on your phone. This should be a last ditch effort to improve your phone’s speed, as a factory reset will delete all your phone’s files and restore it back to the same blank state as when you first received it. Factory resets are easy to perform, though initiating a factory reset varies from phone to phone. If you’d like to learn how to factory reset your phone, performing a simple search engine inquiry will tell you the exact steps to restore your phone to its factory state. Once again, do note that a factory reset will remove all of your pictures, documents, and all other applications and files from your phone. A factory reset should only be performed when absolutely necessary. If you’re unhappy with your current cell phone plan and want to break away from the restraints of hidden fees and binding contracts, choose REAL Mobile as your provider of choice. We offer multiple plans to fit the needs of all individuals and provide outstanding service to all our valued customers. Switch today to experience why customers choose REAL mobile as their go-to cell phone provider. Copyright © 2019 REAL Mobile. All rights reserved.